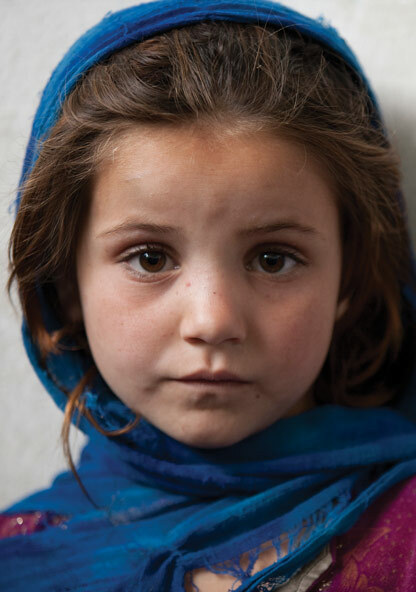 Enormous advocacy efforts over the last two years have created a tremdous movement for nutrition in Pakistan. 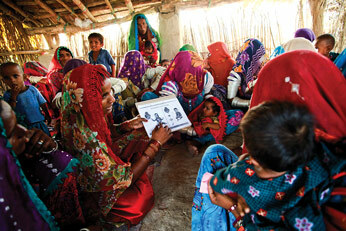 Pakistan was the 34th country to join the Scaling up Nutrition (SUN) Movement in April 2013. At a launching ceremony in December 2013, Ministers from the Government of Pakistan together with senior officials from federal and provincial governments and members of the Development Partners for Nutrition Group (DPNG), signed a Declaration of Commitments. Together they committed to reducing under-nutrition levels by half by the year 2025; recognized that coordinated, multi-sectoral and consolidated efforts to scale up nutrition were required; noted that stakeholder awareness of the magnitude of the nutrition problem had to be raised; and called for political commitment, investment and support from all sectors and actors. There is no formal advocacy and communication strategy for scaling up nutrition in Pakistan yet, though there are plans to develop one. Despite its recent participation in the SUN Movement, a number of diverse activities focusing on raising the profile of nutrition have been initiated largely supported by the DPNG in collaboration with the federal and provincial governments. A SUN civil society alliance (SUN CSA) is also being established through a broad national consultation process. At a meeting in June 2014, key civil society organizations and networks from across the country met in Islamabad to form the SUN CSA for Pakistan. A membership drive to register civil society organisations will be conducted which will be followed by elections to streamline the CSA network activities for scaling up nutrition. A major advocacy and communication priority is to have clear communication and messages about malnutrition in Pakistan. The DPNG developed Pakistan’s Nutrition Facts or ‘Killer Facts’ which have helped to focus attention on the consequences of malnutrition including the socio economic consequences. ‘Killer Facts’ were prepared to create awareness amongst parliamentarians, civil society and others through seminars and workshops. In addition, a series of seminars and consultations facilitated and organized by Save the Children with technical presentations by development partners and well known high profile speakers both at federal and provincial level have taken place. These focused on malnutrition and its consequences. Senior officials have taken part in a number of key events in 2013 which have raised awareness and knowledge about nutrition in Pakistan. These events are critical for highlighting to policymakers the magnitude of nutrition problems in Pakistan, the socio-economic costs and the potential for improving the nutrition agenda forward. Advocacy at national, provincial and community level has been identified as a crucial first step in transforming the enabling environment for nutrition in Pakistan. A report published in March 2013 set out to examine why rates of under-nutrition have remained unchanged in Pakistan for over half a century. Using a political economy approach, the report concludes that levels remain high because of a lack of cross-sectoral collaboration between the different institutions that deal with nutrition, the lack of a strong national agenda to improve nutrition that emanates from the highest executive offices of the state, and a lack of consistent monitoring of the situation using reliable data. After decentralization in 2010, responsibility for 17 ministries moved from the centre to the provinces8. A Nutrition Section was established in the Planning Commission in the early 1970s with responsibility for nutrition planning, coordination, monitoring and evaluation. After decentralization, the role of the Nutrition Section expanded to include coordination across sectors and stakeholders. The report notes that political commitment and ‘championing’ needs to be maintained to establish nutrition within the development agenda across sectors. It is critical for different political parties to prioritise nutrition and for this to happen, the case for nutrition needs to be well-presented to politicians and the executive bureaucracy through well-targeted advocacy. In addition, advocacy coalitions with community support organisations, experts, and the media could usefully be set up to target policymakers, implementers, and the community while investment in community mobilisation networks at sub-district and local level would support nutrition outreach activities. Roundtables to engage media in highlighting the issue of malnutrition have been organized which led to several contributions by media people in leading English and Urdu newspapers. During one such roundtable organized in Karachi in November 2013, a senior journalist requested the development sector to take the initiative and start training journalists on health reporting. He said, “A journalist is just as good as his information; journalists are not experts but if given the right information, they can surely make a difference”. He noted that the media can play an effective role in raising awareness among the masses as well as advocating with government functionaries for enforcement of relevant laws and allocation of adequate resources for multi-sectoral nutrition interventions 9. As a result training workshops have been organized for journalists followed by field visits to various health facilities in provinces. This training resulted in significantly more media coverage on malnutrition. Following the media roundtables, media representatives were provided with updated information on the situation of malnutrition for writing opinion pieces. In order to avoid nutrition becoming tied to a single party’s agenda, parliamentarians from both the ruling and opposition parties have been briefed on the situation of under nutrition at national and provincial level and the contribution of nutrition to reductions in under five mortality. After a briefing on nutrition in Lahore attended by 14 members of the Punjab Assembly, for example, parliamentarians belonging to the ruling party and opposition released a press statement pledging their support to address malnutrition in Punjab. The Punjab government is in the process of preparing an integrated provincial nutrition strategy and plans to put maximum effort into the implementation of the Punjab Protection of Breastfeeding and Child Nutrition (Amendment) Act 2012. There have been efforts to bring attention to nutrition in communities. A documentary on nutrition has been produced, which was shown on two national and 18 cable channels across Pakistan. Hosted television talk shows have been aired, with speakers from national and provincial governments, policy makers and experts. Similarly, a documentary about the situation and importance of breastfeeding has been produced and aired. Balochistan provinces, to implement breastfeeding legislation in Punjab and at the national level, and to finalize the Breastfeeding Bill in Khyber Pakhtunkhwa (KP). The business community is also being mobilized. A half-day national consultation on ‘The Role of Private Sector in Addressing Malnutrition in Pakistan’ has been organized, which was attended by about 30 participants from the public and private sectors. Two provinces, Sindh and Balochistan, have prepared nutrition programmes which have been approved and are going to start shortly. While, the provinces of the Punjab and Khyber Pakhtunkhwa (KP) have prepared integrated health sector reform project, including nutrition interventions, that have been approved and activities have started. 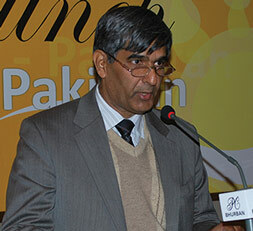 Nutrition-sensitive approaches are being planned in all provinces. A national communication strategy for social and behaviour change is being prepared. Similarly, the agriculture sector has developed key messages on healthy nutrition and developed pictorial communication materials for work with rural and farmers’ communities, women and men advocating for a diversification in food production and consumptions. Agriculture extensions workers and school teachers are the main messengers reaching out to the target group. Government nutrition projects in all four provinces include a communication component involving mass media and also public sector service providers on subjects around the 1,000 days, maternal and child nutrition. The UN agencies and development partners are actively involved in advocacy and communication on both demand and supply (consumers and producers) mainly in support of universal salt iodisation (advanced) and flour fortification (in preparation). The enormous advocacy efforts over the last two years have created a tremendous movement for nutrition in Pakistan. 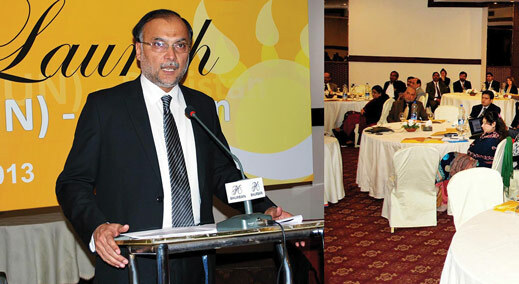 The ‘Pakistan Vision 2025’ plan which aims to unlock the immense potential within the country through developing human and social capital, achieving good governance, institutional reform and modernisation of the public sector as well as developing a competitive knowledge economy, specifically includes nutrition. Politicians are talking about nutrition, policies and strategies are being formulated, the media are picking up on the issue of nutrition and broadcasting key messages and convening talkshows about the nutritional crisis. Provinces have nominated SUN Focal Points in their Planning and Development Departments. While there have been no scientific studies or formal evaluations conducted to measure the impact of the advocacy efforts, the impact is visible and growing. Currently most of the communication and advocacy for scaling up nutrition is supported and led by the DPNG member organizations. The government is trying to ensure that there are financial and human resources available for nutrition communication and advocacy within national and provincial governments. Technical support to provincial governments is being extended and steps are being taken for implementation of the laws, policies and budgetary allocation for nutrition. Parliamentarians are sensitized and constantly engaged at the national and provincial level which will ultimately lead to positive results particularly in endorsing laws and policies, and increasing budgetary allocation for nutrition. Constant engagement with media will also sustain the debate and pressure. Coordination mechanisms are critical for planning, development and reform. Strong and adequate cooperation and coordination between government and international agencies including UN, donors and international nongovernmental organisations to overcome malnutrition has been possible through the SUN Movement platform, while a multi-sectoral strategy has been adopted. The Planning Commission has been effective in pulling together multiple stakeholders. Creation of nutrition awareness amongst parliamentarians and civil society is key.